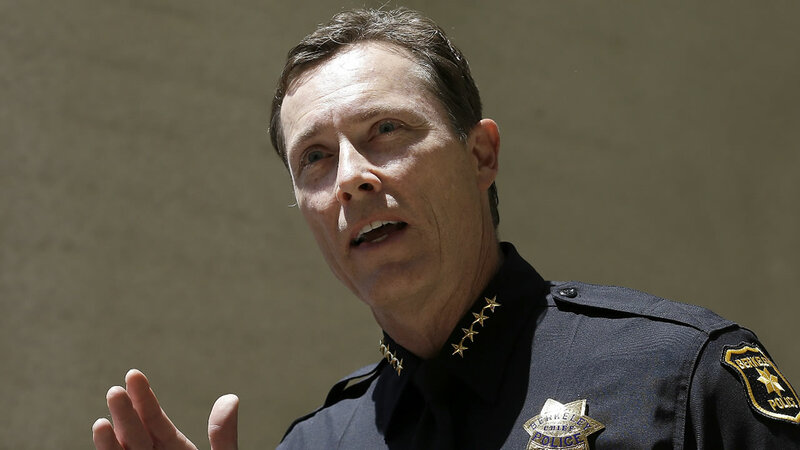 BERKELEY, Calif. -- Berkeley police Chief Michael Meehan has abruptly resigned, according to city officials. Meehan's resignation was accepted by City Manager Dee Williams-Ridley, who sent out an announcement to city staff this morning. Capt. Andrew Greenwood will take over as acting chief, according to the letter. No reason for the resignation was given. Williams-Ridley expressed gratitude for Meehan's service and said that during his nearly seven-year tenure, the department has "increased transparency by posting 30 years of crime data as well as department policies, arrests, bookings, calls for service, pedestrian and traffic stops on the city's website." Greenwood is a 31-year veteran of the Berkeley Police Department and is a lifelong resident of the city, the letter states.